Victoria Lukas has two more collaborations to her credit you might be interested in. The first is with Alek Stark on his new album which can be heard here. In case your confused, this is the second track they have collaborated on recently. 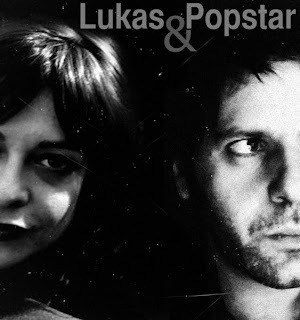 The other is what might turn out to be a more permanent arrangement, a project called Lukas&Popstar, which is between her and Yeti Popstar which is worth hearing at the following links. I've also put extra links in the side bar for many of the side projects etc of Heinrich Muellers collaborators. 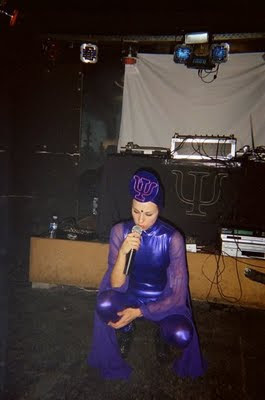 One of her solo projects, vita, also has a load of new tracks on her SoundCloud page. A new version of the Zerkalo track, King("Одни на целом свете" Mix), has emerged with what I think is a semi official video. The title of the remix is a line from a poem and translates I think as ‘One in the whole world’. It is set to the opening sequence of Andrei Tarkovsky’s movie Mirror (1975) and features Julia Pello reciting verses by Arseny Tarkovsky from his poem "First Meetings". 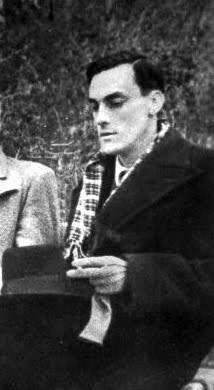 Arseny Alexandrovich Tarkovsky (1907 - 1989) was a prominent Soviet and Russian poet and translator. He is considered one of the great 20th century Russian poets. He was also the father of influential film director Andrei Tarkovsky whose film Mirror contains readings of his fathers poetry. As you know by now I never miss a chance to publish poetry on DRL, usually in connection with Zerkalo, so I have included the full translation in english below. I love the last line. be sure to scroll down for more on Zwischenwelt and Black Replica in this post. Beta Evers has put up a Zwischenwelt page on her own website. When I did my main article on Black Replica in 2008 I gave a link to an Alan Moore documentary at the end, which has since been taken down. In case you missed it someone has put it back up at this link. Does it tie in, quite possibly not outside my subjective opinion. I also found a rare live picture of Black Replica too for the archives. hi stephen. i was wondering how i can get in private contact with you. i have information relevant to you and your readers' interests. let me know soon as possible how i may transmit this information to you. I think that pic is from my facebook page/photo album (http://www.facebook.com/media/set/?set=a.122282769769.98814.654584769). I brought my Holga on my first Euro vacation.